HP Ingredients is a fast growing, innovative herbal and nutraceutical company that brings to market standardized patented botanical extracts as well as privately funds clinical studies in close collaboration with several teams of scientists from the University of Malaysia, the Forest Research Institute of Malaysia, the Universidad Austral de Chile, and the University Magna Graecia Italy, and the United States. HP Ingredients started a Veterinary Division focused on product development for sustainable animal production. All products are synergistic combinations of standardized botanical and phytoactive extracts to provide non pharmacological tools for strategies to reduce the use of chemicals in the animal production industry. Using bioactive molecules present in natural sources such as plants, macro and micro algae, we design optimized and non-drug products aimed at providing solutions to contemporary problems for production of pigs, poultry and aquaculture production, promoting eco-sensible and -safe strategies for people and the environment. At HPI we develop tools to improve animal production indicators while reducing the use of pharmaceutical drugs allowing to deliver healthier food for people. For our fish and seafood, including shrimp, Nat Control promotes cytokines from non specific immunity and activates cellular immunity (Th1) in equilibrium with humoral immunity (Th2), while the antioxidant action provides a means for the immune system to optimize its functions by minimizing tissue damage. Improved indicators: Mortality rate, Cytokines Immune profile. Nat Control is effective against diseases caused by viral and bacterial agents including intracellular pathogens. 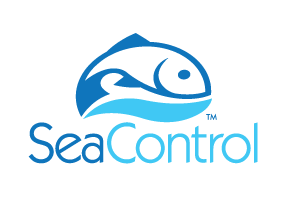 Sea Control is a Natural additive based in botanical extracts. This Additive was designed to improve the condition of the skin and mucus in fish culture. Oriented to improve the response of the host, through the modulation of specific genes and their expression at the level of the skin. Promotes the synergistic activation of innate immune response and disruption mechanisms at the level of external protection. Target species: Salmon, Tilapia, other fish. Improves the following indicators: Rate of feed consumption, Efficiency of feed conversion, general condition of the fish, better skin quality and quantity of mucus.